Several Fortune 1000 companies rely on Aravo’s supplier management software to keep their costs down and boost their returns on investment. This easy-to-manage program also allows users to decrease supply-chain risk and ensure that their final products comply with regulatory standards. 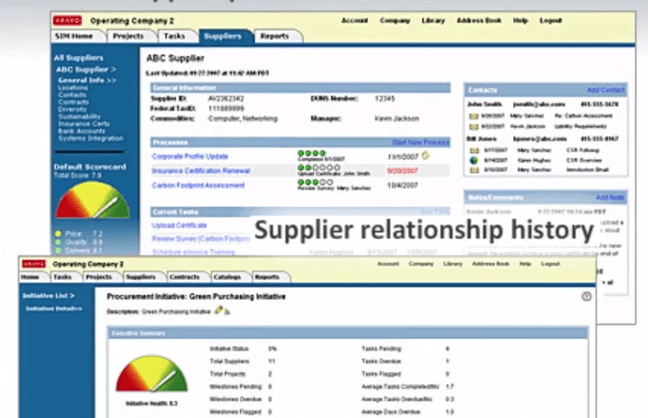 One success story comes from GE’s use of the Supplier Lifecycle Management (SLM) software. Not surprisingly, this manufacturing giant relies on more than 70,000 suppliers from around the world in order to create their vast array of products. For this reason, they sought something quick and easy to implement that would gather supplier information and make it easier to see what was being purchased from each vendor. They also relied on this supply chain management software to keep tabs on their certifications, compliance data and contracts, all of which are vital when minimizing the company’s operational risk. They’re not the only ones who have turned to Aravo for this sort of revolution, either; Boston University, Accenture and several major pharmaceutical companies have relied on this Supplier Management Software to streamline their process. Aravo’s Supplier Lifecycle Management (SLM) software is representative of the company’s initial purpose when founded in 2000. They have always sought to streamline what can quickly become chaotic for large manufacturers: their supply chains. While this supplier management software is their flagship creation—they built it from the ground up—they’ve also developed a business social network that enhances and improves business-to-business relationships. Learn everything you need to know about Aravo SLM. Our experts will reach out to you shortly.